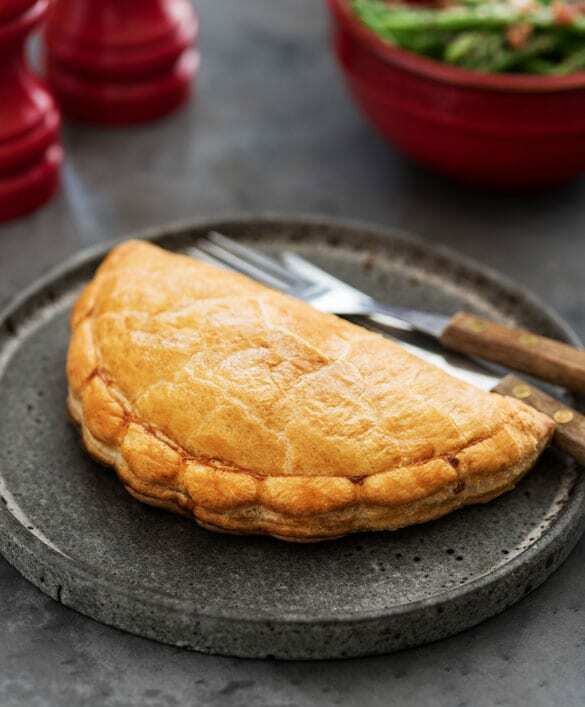 Ginsters has come a long way since 1969 when Geoffrey Ginster began producing pasties from an old egg-packing barn in Callington, Cornwall. Today we stay true to our Cornish heritage with our history and bakery in operation still in Callington. We are proud of our heritage and commitment to Cornwall. We buy local ingredients where is it possible and practical. Our potatoes, swedes and onions come from Jeremy at Hay Farm on the Rame Head peninsular, only 15 miles from our bakery. Its micro climate makes this the perfect Cornish spot for growing veg. We only buy 100% Farm Assured British Meat. We never add artificial flavours, preservatives or colours. 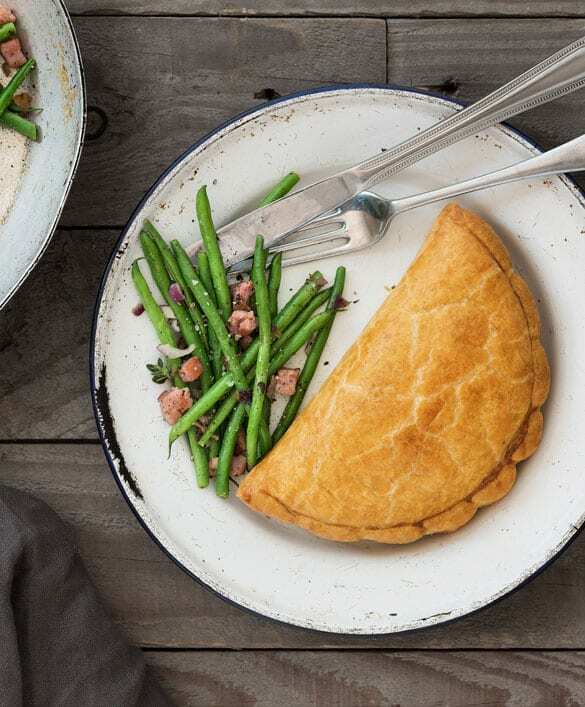 Our award-winning beloved Cornish pasty is the real deal and has Protected Geographical Indication (PGI) status to prove it! 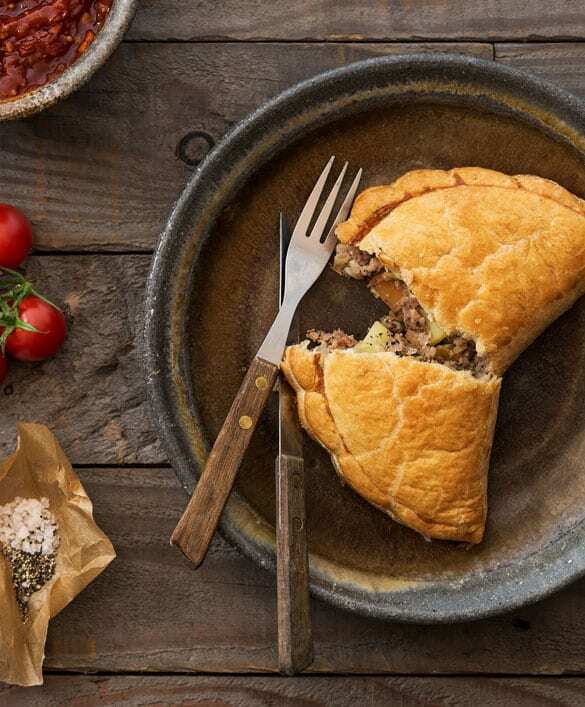 It’s made with beef, potato, swede & onion with a dash of seasoning to provide that distinctive Ginsters peppery taste which is loved across the whole country, before being wrapped in 80 layers of light puff pastry. Do it any other way and it simply can’t be called a Cornish pasty! We are the official Savoury Pastry Partner to the English Football League (EFL) and club sponsor of Plymouth Argyle Football Club. Ginsters is a British brand formed in 1967. In 1969 Geoffrey Ginster, a Cornish Dairy Farmer, began baking his own pasties from an old egg-packing barn in Callington, Cornwall. On his first day 24 pasties a day were produced. 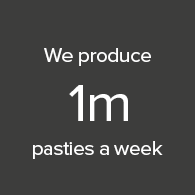 Today, we bake, on average, three million chilled savoury pastries, including pasties, slices and sausages rolls a week in the same bakery in Callington and are one of the top 100 food brands. We have 55 recipes in the Ginsters’ range, including sandwiches, and 60 different lines, including singles, multi-packs and limited editions. One of the most integral parts to our business is our people. Proud to still be in our home in Callington Cornwall today has allowed many of our colleagues to be employed from the local community. Our success is delivered through passionate colleagues. We also work closely with Callington Community College and run work experience programmes for students to give them an insight into working in the food industry. 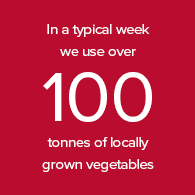 We recognise the importance of sustainability, improving healthy eating choices and supporting our home of Cornwall. We ensure we are acting sustainably in the sourcing of palm oil and use of plastic packaging. We are from Cornwall and will do all we can to champion Cornwall’s identity, culture, people and local produce. Working hard to deliver these commitments, each are integral in our vision for a sustainable future.